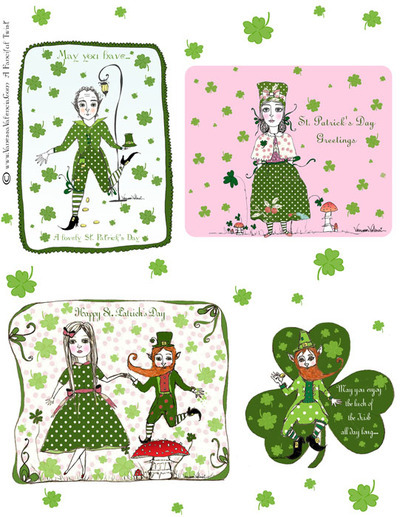 A Fanciful Twist: Sparkly, lucky, happy day! 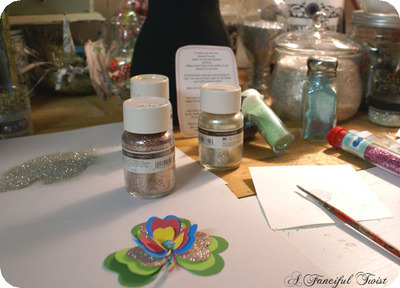 I have been up to so much sparkly fun. I just can't wait to share it. I hope you enjoy it, as much as I did. I had this idea swimming in my head, so I tried it out today, and voila, I think it is a whole lot of fun, and oh so easy!! 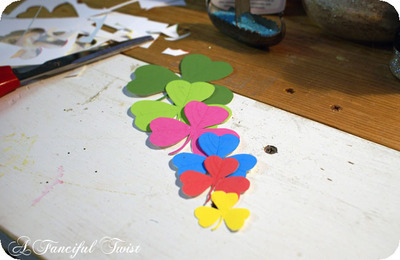 There were very fancy ways to attach the shamrocks to eachother. However, I decided, if you are going to make them with your kids, or whip one up for yourself to wear, it should be super duper easy. 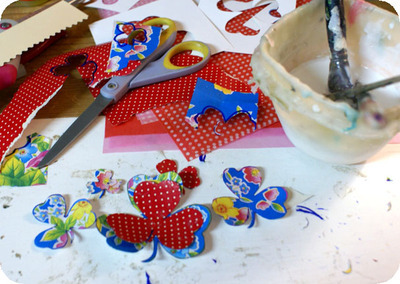 Especially if you are going to make more than one, maybe for friends? 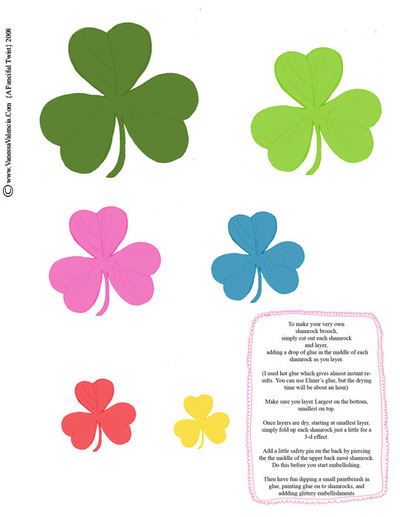 Make sure to Click on this link for printable version. Once all layered, I give them a firm push in the center, to make sure they are really stuck together. 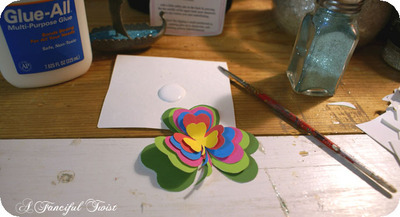 Once they are all folded up very gently, and look like this, I am ready to attach a safety pin to the back. 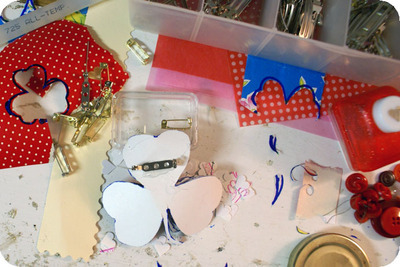 My advice, attach the safety pin before you embellish... 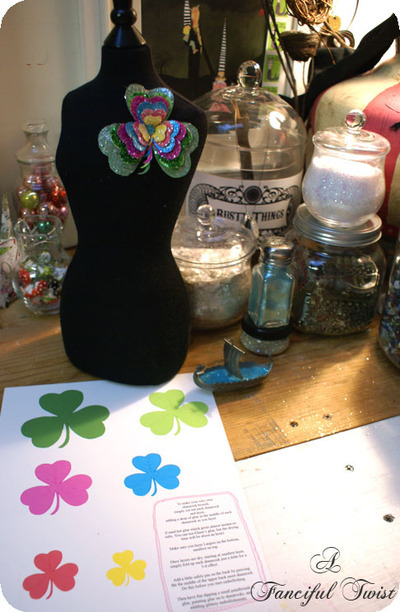 I found that the center of the upper backmost shamrock is the best placement for the safety pin... I used a smallish safety pin, so it would not hang off the edges. 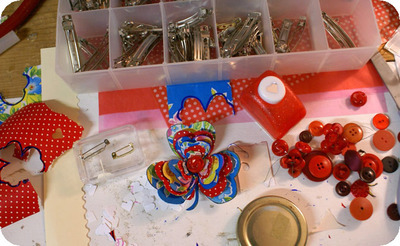 You can use those specially made brooch back pins that you can get at any craft store. 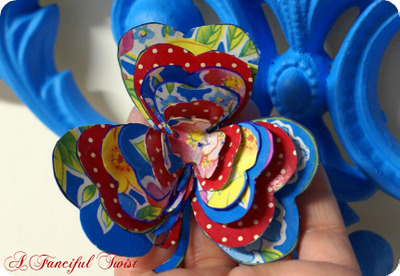 The kinds that simply have to be glued to the back of the brooch. 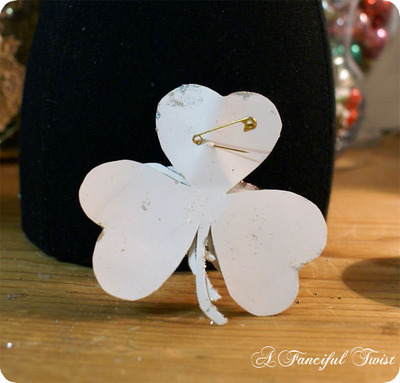 However, I chose a simple safety pin, because I wanted this to be easy, easy. So now for the fun part! Glitter! 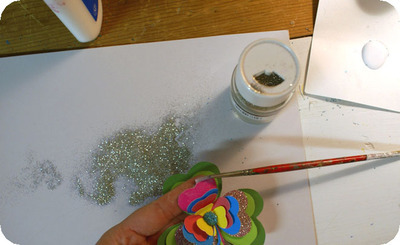 I looove glitter! 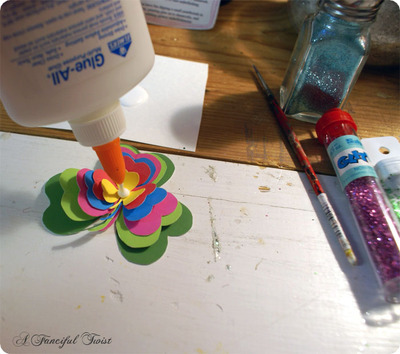 You will need some Elmer's glue (or any craft glue) and a small paintbrush. 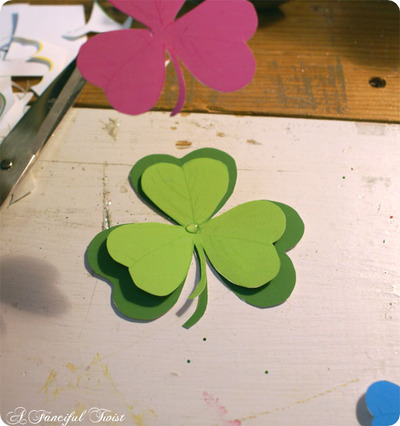 Once you are completey done, let your shamrock brooch dry really well. The drier it gets, the prettier the glitter sparkles. 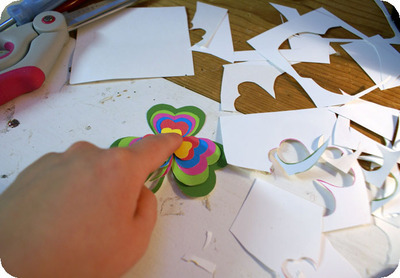 You can also add a giant stone to the middle of your flower, or a button... Anything really, even an old rhinestone earring that you just have one of? Now wasn't that so super easy and fun??? 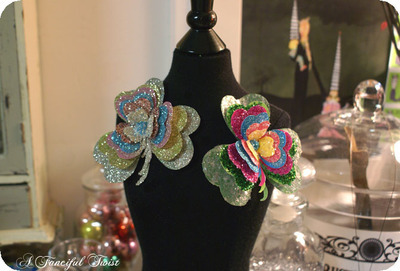 I know, they are a little, well, let's face it, alot sparkly, but they are so much fun to make! 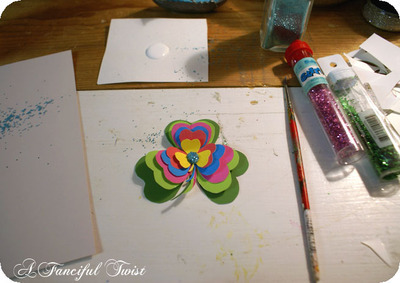 I was thinking that if you didn't want glitter, you could draw designs on each shamrock with different pens and markers? 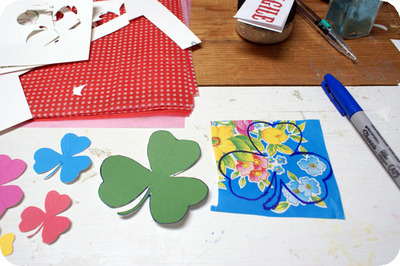 Or use each shamrock to outline each size on different papers, then glue the papers on to each shamrock and then simply assemble it, so you have a collaged shamrock. 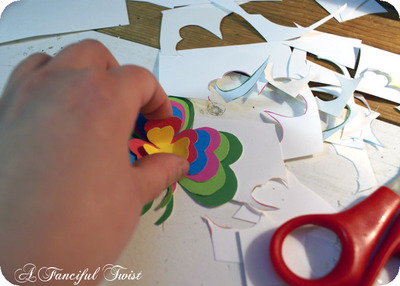 That could be really really fun.. You could use doilies even. I have to play with that idea too! I know, you are going to think I have totally lost it. 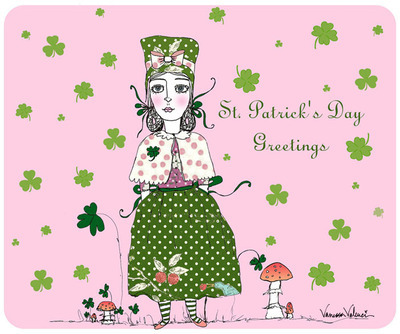 However, I also have some Free St. Patrick's Day cards for you. I know it seems early, but really it isn't, time goes by so fast. 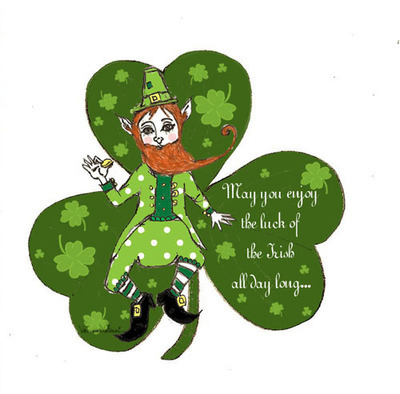 Before you know it, you'll barely be printing them and it will actually be St. Patrick's day. So, I am giving you a head start. 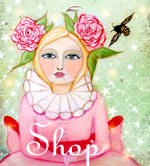 I love sharing Free cards! 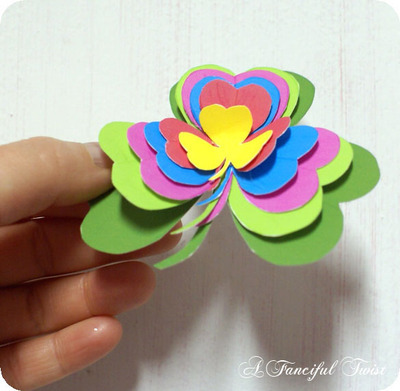 They are sooo much fun to make!! 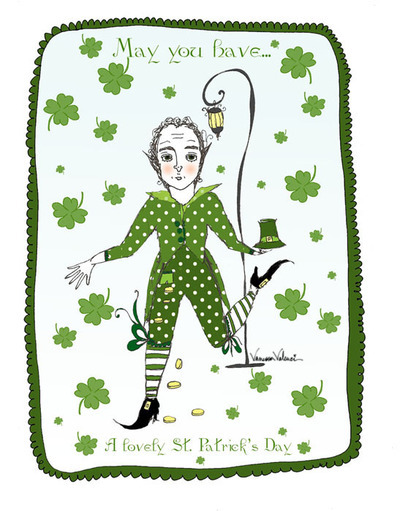 Click here for your printable PDF file of your very own Free St. Patrick's day cards. 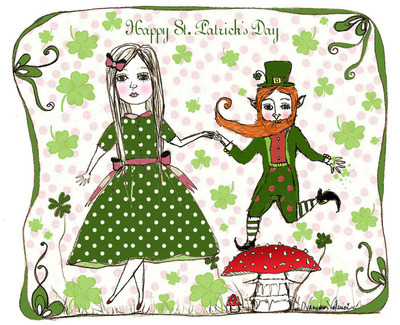 From me to you!! Okay, I better go before you come hunt me down for the longest blog post ever! Also, the winner of the Valentine post drawing, as chosen by the random number generating machine, is Jenn Lui!! Yippeee for you!! E-mail me Miss Jenn!! 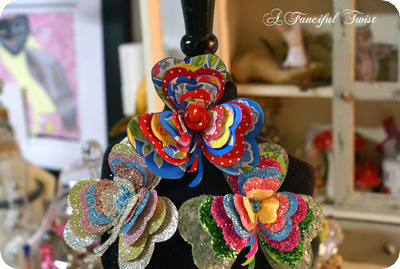 Voila, isn't this soooo pretty!! I love it!! 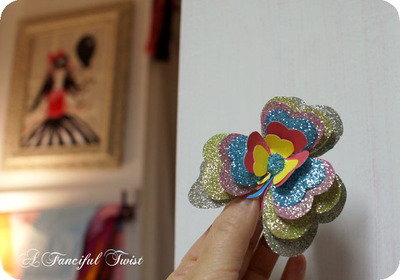 A wonderful alternative to no glitter!